The Head Hartley all season men’s jacket is part of Head’s Club Line designed to provide club players with top comfort and stylish look on the court. 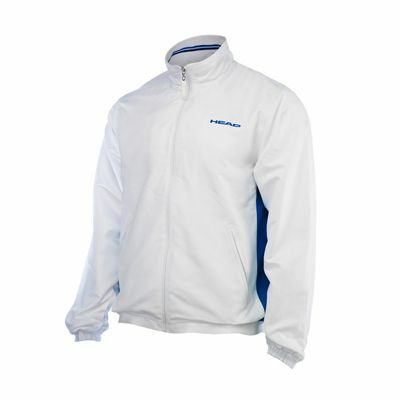 The jacket is perfect for all seasons to keep the player warm when needed. It is made from 100% Polyester and has a zipper in the middle enabling the user to quickly and easily put the jacket on and off. This practical apparel has a handy side pocket and a Head logo on a chest area. It can be zipped fully to have a polo neck on colder and windy days or worn not fully zipped with a collar featuring a stylish two-stripe pattern. for submitting product review about Head Hartley All Season Mens Jacket.